Fee-for-service payment won’t disappear overnight, but its predominance is shrinking. That fact makes direct delivery of anesthesia—squeezing the bag—less and less appealing to physicians as a means of earning a living. Health and Human Services (HHS) Secretary Sylvia Burwell announced in a press conference on January 26 that HHS has set a goal of tying 30 percent of Medicare payments to quality or value through alternative payment models, such as Accountable Care Organizations (ACOs), by the end of 2016, and tying 50 percent of payments to these models by the end of 2018. Just two days after the HHS announcement, a group of the top US health systems and payers announced the formation of the Health Care Transformation Task Force, a private-sector alliance that aims to accelerate the transformation to value-based care. Payers involved include Aetna and Blue Shield of California. The alliance plans to improve the ACO model and develop a standard system for bundled payments. To survive the transition to bundled payments or other shared saving arrangements, physician anesthesiologists see the need to expand their sphere of influence outside of the operating room and take on leadership roles. Recognizing that fact, 178 participants signed up for a new and very successful leadership pre-conference, organized by Joseph Szokol, MD, MBA, JD, and Sam Wald, MD, MBA, at the ASA’s 2015 Practice Management meeting. Medical students are recognizing early that clinical care may be turning into a dead-end trap, with endless production pressures and dwindling returns. Increasing numbers of medical students are entering joint MD/MBA programs. The Association of MD MBA Programs website lists 54 joint programs in the US, and two more in Canada. A Sept. 29, 2014, article in The Atlantic, “The Rise of the MD/MBA Degree”, reports that more than half the programs started after the year 2000. A number of medical schools also offer dual programs in medical informatics, biomedical engineering, and public health. The new Surgeon General of the United States is perhaps the most highly visible holder of MD and MBA degrees to date. Dr. Vivek Murthy earned his combined medical and business degrees from Yale, and worked at Brigham and Women’s Hospital as a hospitalist. Soon, he reduced his clinical practice as his interests turned in other directions, and in 2008 he founded an organization called “Doctors for Obama” to mobilize the medical profession to support the Affordable Care Act. At 37, he became the youngest-ever Surgeon General. Many physicians are going back to school for MBA degrees and healthcare administration certificates, hoping for positions as hospital administrators, pharmaceutical executives, department chairs, consultants, or government regulators. Business schools and other organizations such as the American College of Physician Executives have been quick to establish executive programs and online courses geared toward the MD market. The NPI dataset probably overestimates the number of physician anesthesiologists who are in active clinical practice, and the data can’t pinpoint how many of those are planning their exit strategy. The “baby boomer” generation of physicians is starting to retire, and, as a demographic, younger physicians tend to work less. With these forces in play, the anesthesia care team model seems certain to become the predominant way that American anesthesia care is delivered. There will be increasing numbers of nurse anesthetists and anesthesiologist assistants, and relatively fewer physician anesthesiologists, fully engaged in direct operating room care. It’s good to have back-up in tough clinical circumstances. Just as a passenger jet has a pilot and a co-pilot, it makes sense for anesthesia care to involve two individuals who know the patient and the case. Sometimes a fresh set of eyes can spot a problem that has been overlooked, which is why a coffee break during a long case can be a good safety measure. But anyone who follows online commentary can easily see how quickly the level of discourse can deteriorate when people are free to write under the protection of pseudonyms, and comments aren’t moderated. As a frequent “blogger” for websites like KevinMD and The Health Care Blog, I’ve had ample opportunity to see just how uncivil the comments can get. The level of hostility between some nurse anesthetists and physician anesthesiologists can come as a revelation. Why highlight hostility between some nurse anesthetists and physician anesthesiologists? Why focus on the fact that this hostility often extends from nurse anesthetists to AAs? I think the best reason to examine the ill will closely is to understand the history behind it, and, in time, to move past it. Long-standing grudges do no one any good. Fifty or more years ago, nearly all physician anesthesiologists were men, and nearly all nurse anesthetists were women. Many of those nurse anesthetists would probably have attended medical school and become excellent physicians if the opportunity had been open to them. In the 1970s, those ratios began to change. Young men in American military service began to attend nursing school in larger numbers, and many became nurse anesthetists. The AANA now estimates that more than 40 percent of nurse anesthetists are men. At the same time, more women began to gain admission to medical school. By 2014, the American Association of Medical Colleges reported that 47% of medical school graduates were women, though women comprised only 33 percent of the applicants for anesthesiology residency positions. I wish my job could be that easy! Most of my patients undergo complex operations and suffer from multiple medical problems. They require my constant presence in the operating room, and all the knowledge I can bring from medical school, four years of residency and fellowship training, and endless hours of continuing medical education. Most patients assume that their anesthesia care will involve a physician, and prefer it that way. They express surprise at the idea that nurses could practice in any capacity without physician oversight. None of the leading hospitals in the US—academic or private—is staffed with nurse anesthetists working without supervision. The majority use the anesthesia care team model, under the leadership of anesthesiologists. The rationale for the creation of the AA profession in the 1960s was the shortage of anesthesiology professionals. The goal was to create a new master’s level program that would enable graduates to deliver anesthesia care under the direction of a physician anesthesiologist. The concept and the curriculum were designed along similar lines to the training of physician assistants. But from the beginning, the fledgling anesthesia profession was strongly opposed by the AANA, and their lobbying has stymied attempts to license AAs in several states. Nurse practitioners and physician assistants work alongside each other in many medical and surgical practices without competition or animosity. It’s hard to see why this collegiality has been so difficult to achieve for nurse anesthetists and AAs, though many practices report that once the first AA is hired, the opposition from nurse anesthetists dissipates quickly. Money is probably not the major factor, as salaries for AAs and nurse anesthetists nationally are similar. Since there are fewer than 1700 certified AAs in the US today, they hardly pose a serious competitive threat to the nearly 47,000 nurse anesthetists. In the 1990s, with the advent of minimally invasive surgery, some people argued that the demand for anesthesia services would decrease, and that we wouldn’t need as many anesthesia professionals. That forecast turned out to be completely wrong. As anesthesia becomes safer and surgical techniques improve, patients who previously wouldn’t have been considered suitable candidates now undergo anesthesia safely every day. Minimally invasive techniques and the invention of new procedures have multiplied the demand for anesthesia services. There’s plenty of work in the anesthesia field for everyone—physicians, nurses, and anesthesiologist assistants. The anesthesia care team model is safe, cost-effective, and shouldn’t be controversial. In most medium-size and large hospitals, nurse anesthetists and physician anesthesiologists work comfortably side by side every day. When I was a junior faculty member in my first position after residency, experienced nurse anesthetists at Duke University Medical Center—notably Tinkie Smith and Tede Spahn—taught me a great deal and smoothed my transition into practice. I’ll be forever grateful for their wisdom, friendship, and support. As physician anesthesiologists expand our role outside the OR, the care team approach will become even more prevalent. It’s incumbent upon all of us to continue the integration of AAs into the care team model, and to work toward eliminating bad blood between nurse anesthetists and other anesthesia professionals. Our patients deserve better. You said, “In contrast, the website of the American Association of Nurse Anesthetists (AANA) states that nurse anesthetists ‘collaborate with other members of a patient’s healthcare team: surgeons, obstetricians, endoscopists, podiatrists, pain specialists’—a list which pointedly excludes physician anesthesiologists. But the AANA website actually says, “CRNAs provide anesthesia in collaboration with surgeons, dentists, podiatrists, anesthesiologists, and other qualified healthcare professionals.” I cut and pasted it from the website just now. Thank you for your blog. I look forward to working collegially with whomever I am employed. 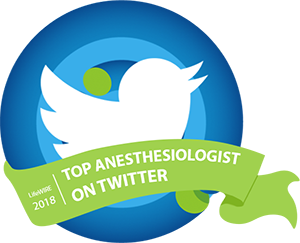 Your message says that anesthesiologists are left off the list, but the comment is discussing how CRNAS “like all anesthesia professionals” collaborate with other specialties. I believe the intention was to point out that we collaborate also, not instead of. Further, Mr. Massey has pointed out that we do indeed acknowledge collaboration with anesthesiologists. As always there are components of your argument that are lacking. First, why does it matter that the MDA caring for Joan Rivers was not an ASA member? Second, are you aware that scores of your physician Anesthesiologist colleagues were attempting to change the narrative that a CRNA was all alone with Joan Rivers…. ” That’s why I am here”. So, there was more than a small amount of professional bashing going on, prior to the actual facts of the case being presented. Finally, if AAs are so safe. If MDAs can supervise them within the TEFRA guidelines (ASA published research says no). Then why would the arguably most powerful healthcare lobby in the country publish peer reviewed papers on the subject? Personally, when seconds count… When my family is under anesthesia… I don’t want an Assistant untrained to provide independent anesthesia services…. Calling for help instead of acting! I wasn’t considering my post as an argument at all! And if you read my several posts on the Joan Rivers case, I rushed to no conclusions whatsoever. I suppose I consider active membership in professional and educational organizations as a good thing, so that’s why I mentioned it. Last, I firmly believe that knowing when to call for help is an essential component of safe healthcare. I hope I know when to do that as well as any nurse anesthetist or anesthesiologist assistant would. There is room for all of us, and I would like to see an end to the unnecessary antagonism between nurse anesthetists and anesthesiologist assistants. I’m happy to work with both. Why do you refer to anesthesiologist as “physician anesthesiologist” when the term anesthesiologist is physician specific? It seems a but overkill. I am not a great enthusiast of the term “physician anesthesiologist” either. But research has shown that quite a number of people aren’t aware that anesthesiologists went to medical school at all. Cumbersome as it is, the use of the terms nurse anesthetist, physician anesthesiologist, etc., at least makes it all clear. I wish we could come up with different terms that were easier to say! If you think “physician anesthesiologist” is cumbersome, wrap your tongue around “Physician Assistant in Anesthesia”. How many patients do you think have a clue what all these titles actually entail? Although a long time non-ASA member, I was surprised when I visited as asahq.org to see the term ‘physician anesthesiologist’ used. If the ASA is using this terminology, how bad can it be? Barry, so using your logic, anything the ASA does is good or ‘can’t be bad’ as you put it? That’s a very egocentric comment, and this is one of many reasons so many have issues with the ASA. The ASA is not all knowing and definitely not omnipotent. I believe you completely missed his point. Karen – Your point is proved by the comments already! As an anesthesiologist who used to be a nurse I find the MD-CRNA animosity irritating and misplaced. I too have written on KevinMD about this and been similarly castigated. I’m pretty sure the argument is about money. The answer is most definitely money. The answer is ALWAYS money. It is simply a matter of what the question might be…. Thank you for that article. Much of what you say, I agree with. I have several dear friends who are anesthesiologists and several excellent anesthesiologists I work with whom I hold in high regard. I never did quite understand how midwives and obstetricians generally have great relationships, as do some podiatrists and orthopedic ankle/foot surgeons, ophthalmologists and optometrists and yet, our professional field is a personal, political and clinical mess. 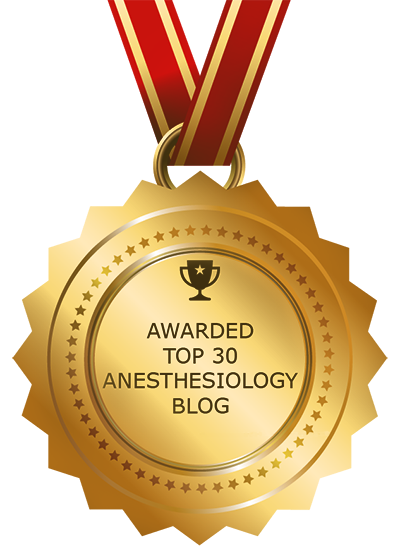 Your article motivates me to tell you some of the reasons there are problems in anesthesia…. MDAs (a term I generally abhor, but for brevity’s sake…) don’t always train in the same facilities as CRNAs, or train/work with them at all…and then when they come to work as part of an anesthesia department, they have no idea who we are, what our training is or what we are educated to do…and most importantly, they don’t try to find out. And they ignore us and treat us like we are a bunch of idiots. There is, without question, an air of sexism in the medical field. We all know it. Although you pointed out the numbers of males/ females in each field, I still see male MDAs treating female CRNAs very differently and vice versa. I see it EVERY day. I honestly don’t know how some of you made it through medical school..because I bet it was worse there. I have worked in departments where the MDA in charge of an OR suite rarely gets off his iPad with which he plays computers games ALL DAY…at 7 a.m., when patients are getting ready to go into the OR and at 7:30 a.m. when they are supposed to be in the OR, he’s seen at his desk playing computer games. If I have any period of free time other than lunch, I have 3 different MDAs trying to give me busy work because they can’t stand the idea that I’m not busy at that moment. They relieve each other at all times of the day to go get a haircut, go to the bank, go to a closing….they may or may not come back. There is never an opportunity for a CRNA to leave to get something done… At least four times/week, an MDA leaves for the day starting at 10 or 11 a.m. And they leave one by one…until by 3 p.m., there is one doc and 4 CRNAs. It’s demoralizing. We are underutilized….we all have training in pre-op, PACU, making pain rounds, writing PCA orders and, especially, regional anesthesia. Are we used for ANY (except regional) of that? NO…we just sit in the room all day. Eventually, some of that training and some of those skills erode. However, when you really need help and want us to go do the things we are trained to do? We don’t do it very well perhaps….and then we’re thought of as a bunch of idiots. Can you see how that is a vicious cycle? BEFORE I graduated from school, I had MORE THAN 250 epidurals and 300 spinals under my belt. Eighteen years later, I STILL have anesthesiologists hovering over my shoulder whispering directions in my ear on how to do an epidural. Ridiculous. I was so well-trained in regional, the rule was, you figured out what the problem was and you fix it…you know, change your level, change your angle, change your approach…and I did that for all of my training. I’m open to help, but please, let me ask for it…I’m a credentialed provider who knows how to do neuraxial anesthesia and I’ve been doing it pretty successfully for a long time….stop telling me what to do, please. Where I went to graduate school, we took all our anesthesia courses at the medical school. We were taught by the anesthesia department faculty (yes, MDAs!) at the teaching hospital where we attended the university. We were in the classes with the medical students doing cases presentation and I dissected a cadaver exactly like you did. The MDAs don’t have any idea what my curriculum was and in fact, treat us, most of the time like a bunch of imbeciles. It would do all of us a great service if you had any idea what our backgrounds are. I hear, over and over again, that all you need is a year of critical care. That may be the minimum requirement, but many of us have much more than that. I entered the field of anesthesia with 15 years of critical care, emergency room, pediatric and PACU experience. The docs in my department trust me. I am safe, I call for help only when absolutely necessary and if I’m not comfortable with something, I speak up. I may go a week without a doc ever coming into my room for any reason at all…not during induction, not during emergence. And then, when my cranky on call doc comes in to check on things he’s talking loudly, disturbing the OR, questioning everything I’m doing and everything I’ve done…to the point that I say “then do it yourself”…to which he says no, no, no I’m covering 3 other rooms…then I invite him to leave and he finally does….and someone says “he’s like a f***ing bull in a china shop”…guess what? He would NEVER, EVER have done that to another doc. So why does he do it to me? Because I’m a CRNA, and a female, and he’s cranky about being on call. JUST STAY OUT OF MY ROOM. PLEASE! So what it all comes down to is LACK of RESPECT…lack of respect for what we do, for our education, for our experience, for what we know and how we practice. 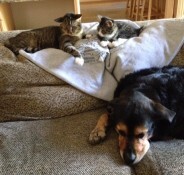 I respect some of the docs with whom I work…they’re smart, they listen, they collaborate. Others? Not so much. I agree with you. There IS room for all of us. I agree, we should strive to all get along. My best friend is a female anesthesiologist and she absolutely understands where I am coming from. For me, it’s not about money at all. I think we should all just try to be more respectful of one another. And lastly, I chose to be a nurse. I didn’t choose to go to medical school because I didn’t want to be a doctor. I love being a nurse and I love being a CRNA even more, despite the daily difficulties. Good article, thanks for posing the questions you did and for opening it all up for discussion. Very simple. Anesthesiologists are unwilling to accept CRNAs as equals. CRNAs,-or at least their leadership are unwilling to accept less. I think that my education and training make a difference, want it acknowledged and not denied. I want to be compensated for my education and training with a different level of autonomy, authority, and reimbursement for my services. This is very simply anathema to the AANA. That is why we can’t get along. I find it very disconcerting that the main argument against CRNAs practicing completely independently is their supposed ‘limited training and experience’ and what that would do for patient safety, all the while the physicians tasked with assisting in their instruction are working their hardest to marginalize the training. This seems to be a somewhat large conflict of interest – one would think, if patient safety is really an issue, the training of SRNAs should be AUGMENTED by EVERYONE instructing them, not purposefully restricted by some physicians whenever possible. The questioning of patient safety in regards to CRNA practice frankly seems like a moot point, considering CRNAs are deployed independently with special forces units, to combat zones, and military facilities all over the earth…without a bit of trouble. Not to mention the fact that independent CRNAs provide the vast majority of anesthesia services to rural areas. One would think any difference in outcome would have been recognized by now, or frankly before the idea of supervision ever came to be, considering nurse anesthetists have been administering anesthetics for over 100 years. Oh, and lets not forget about the pesky fact of the complete absence of research stating CRNAs have anything but equivocal outcomes compared to physicians alone or the ACT. The physician services to the anesthetized patient are supervisory in nature if the physician 1) leaves the OR area for other than a brief period, 2) attends to an emergency of any significant duration, or 3) is otherwise not immediately available to respond. It seems to me assuming the role of Perioperative Specialist would necessitate all of the above exclusions. And considering, per the recent publication by the ASA, that the TEFRA rules for medical direction billing are rarely fully complied with already; it makes me extremely curious how physician anesthetists plan on accomplishing this role transition while still hanging on to any shred of direction or supervision of CRNAs for billing. Overall, I wish the vitriol to stop. I wish any debate to be conducted on the basis of FACT. And I greatly await the publication of the ASA analysis of the NACOR data regarding outcomes between independent CRNAs and Physicians/ACT. However, before the study is completed, I hope the NACOR data is appropriately adjusted to reflect its overwhelming lack of representation of completely independent CRNA outcomes. Post script (and as a matter of FACT), I had many a physician anesthetist approach me with a smirk and say ‘boy this Joan Rivers thing is going to go really badly for you guys’. Lets knock this off, shall we? The history of anesthesia has always been filled with conflict as CRNAs fought for the right to practice once physicians observed that dripping ether could be a worthy calling after all. Although such vitriol works well to fund Political Action Committees for the AANA and the ASA, it has started to seep past the boundaries of Internet trolling to clinical practice. Elle has raised excellent points. The anesthesia provider issue differs from the clashes between podiatrists and orthopedic surgeons because those groups have equal status. The comparison between midwives and obstetricians would only work if CRNAs lost. After all, midwifery almost disappeared as a specialty after a very successful smear campaign by physicians. After reading you article a few times, I have a few comments myself. First, of course you need more CRNAs than physician anesthesiologists. ACTs are what you are pushing, if one doc supervises up to 4 rooms, then you only need one doc for every 2-4 CRNAs. The math is simple. Second, PAs and AAs are NOT synonymous. PAs practice with far more autonomy (and respect) than any AA does. They are not equal. You state that many physicians are going to back to school because of the changes in medicine, guess what, so are many CRNAs. You state that it’s good to have two individuals involved in a case, a pilot and co-pilot….with this line of thinking MDAs should not practice alone. Next, being a member of the ASA will never make you a good provider; you either are or you aren’t. There is absolutely no relationship. I know a few very talented/skilled MDAs that are not members of the ASA because of what the ASA has become. They can do my anesthesia any day. Lastly, ACTs are generally not cost effective when most places have you supervising 1-2 rooms, maybe 3-4 on occasion (and these 1-2 supervised rooms have nothing to do with case/pt complexity). From Buenos Aires, Argentina. Your article and approach is exact, it studies some aspects of anesthesia I´ve been studying and evaluating for many years, without understanding with local colleagues. Different reality here in 3er World, but I guess Health establishment of USA is just trying by all ways possible and even impossible, to diminish costs of health services. In some issues, here we’ve got some experience in low cost providing and in others here we spend even more, but in the final, spending in 3er world is lesser. I agree in the re-union of different anesthesia providers. Of course, that wouldn´t be good news for Big Players, the government and Private health Big Capitals. Some people just are not gifted in the administration of anesthesia. Be it MDA or CRNA. The problem arises when an MDA who really should not be involved in anesthesia imposes his will on a CRNA who happens to know what they are doing. The situation can go real bad and believe you me the CRNA will be blamed. There is alot of your animosity. The reverse of this situation can’t happen. My first job as a CRNA the OR supervisor of 40 years experience said. You can either give anesthesia or you can’t it has nothing to do with the initials behind your name. After 30 years in the field I believe that now more than ever. A Certified Registered Nurse Anesthetist is a nurse. An Anesthesiologist is a doctor. ASA: Please read the ASA’s statement on the practice of anesthesia by nonphysicians. AANA: Nurse anesthetists, the first healthcare providers dedicated to the specialty of anesthesia, have their roots in the 1800s, when nurses first gave anesthesia to wounded soldiers on the battlefields of the Civil War. Today, Certified Registered Nurse Anesthetists (CRNAs) are master’s prepared advanced practice nurses who enjoy a high degree of autonomy and professional respect. CRNAs provide anesthetics to patients in every practice setting, and for every type of surgery or procedure. They are the sole anesthesia providers in nearly all rural hospitals and the main provider of anesthesia to the men and women serving in the U.S. Armed Forces. If you still want to sleep, then by all means continue. However, if you want to get from under the matrix, choose the green pill and then become active within the CSA, ASA, and AMA. Also, please financially support your PACs. My father is an anesthesiologist who has worked in a collaborative environment for thirty years. He is the one who encouraged me to pursue nurse anesthesia. Being exposed to this environment gave me the idea that anesthesiologists and CRNAs worked together to get the job done. However, when I entered anesthesia school, it was a rude awakening to discover the animosity between the two groups. This was and is very disappointing to me. Fortunately, I have worked in an environment for ten years that is collaborative and for the most part, there is mutual respect. I always say that no matter what discipline, from doctors to janitors, 90% of the people are good to work with. However, the other 10% seem to be the troublemakers. There are a couple docs and CRNAs that are difficult when it comes to this issue where I work, but for the most part we all get along great. To me, it’s a job that enables me to make a nice salary to provide for my family. Maybe the 10% that is causing all of this trouble should get a life outside of work and maybe they wouldn’t worry so much about control and power in the workplace! So I’m an anesthesiologist – or call me an MDA, it really doesn’t matter to me. I know what my credential is. Anyone else think that the great majority of both anesthesiologists and CRNAs just wants to get along and get the job done, and that maybe 5% of each group needs to switch to decaf already? I’ve worked alongside militant anesthesiologists, and also alongside militant CRNAs. To me, they’re equally painful. There are opportunities for MD-only practice and opportunities to be an unsupervised CRNA… so the guys (and gals) who want to work solo can do so. Let’s focus on the real enemy, which is anesthesia management companies and their McDonalds-ization of the anesthesia world. That worries me FAR more than AANA ever could.